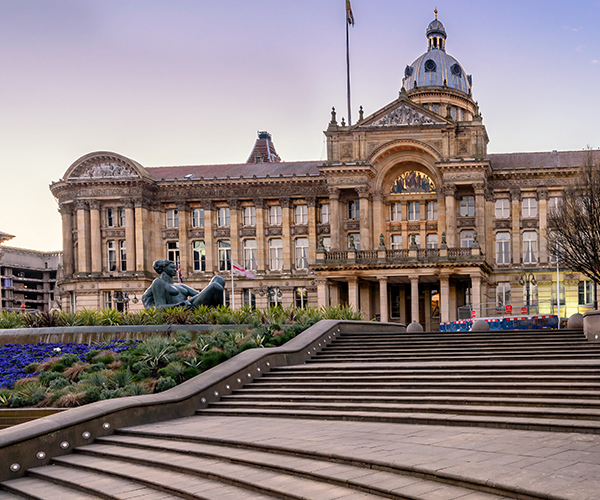 Discover Britain’s second city, Birmingham, with a private tour from a Blue Badge guide. 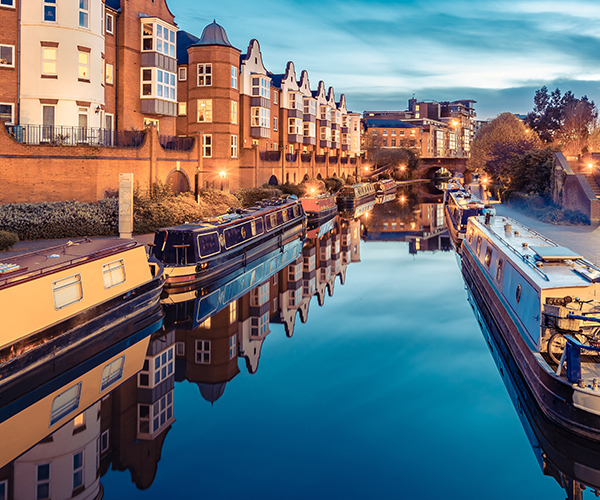 Once known as the ‘City of A Thousand Trades’, Birmingham is a place with an unparalleled story of craft and industry. Explore the Jewellery Quarter, including its dedicated historic collections and Pen Museum. Sweeten your visit with a tour around Bournville, the home of Cadbury’s chocolate – also the location of Britain’s most charming model village. Find out more about the city’s industrial heritage and follow in the footsteps of pioneering industrialist Matthew Boulton, owner of the first modern factory driven by James Watt’s steam engines. Together, these men ushered in the Industrial Revolution. Our local expert guide will tell you about Birmingham’s links to Lord of the Rings author JRR Tolkien. Hear from your private guide about where he grew up and what influenced him. Visit the Birmingham Art Gallery and Museum which currently houses part of the Staffordshire Hoard, the largest discovery to date of 7th century Anglo-Saxon silver and gold jewellery. Discover the eight canals connecting this mighty industrial heartland to the markets of the world. Visit St Philip’s Cathedral, surrounded by fine Victorian buildings and one of the city’s three cathedrals. Birmingham has a great musical heritage, with over 100 artists and groups originating here. Follow in the footsteps of Black Sabbath, Judas Priest, Led Zeppelin, Duran Duran, The Move, The Moody Blues and many other modern legends. Hear how the preparations for the 2022 Commonwealth Games will add a new dimension to Birmingham.